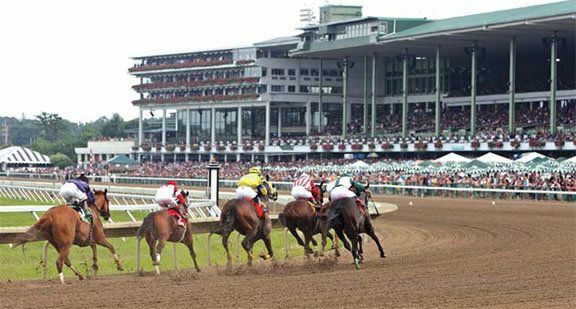 New Jersey online poker might soon be coming to horse racetracks should a new proposal in the state Assembly find support in Trenton. A supplemental act to the state’s online gambling law has been introduced by Assemblyman Ronald Dancer (R-District 12) that would allow racetracks to partner with Atlantic City casinos to build internet gaming lounges. AB 4255 demands that the state shall “not prohibit a casino in Atlantic City, or such a casino’s internet gaming affiliate, from entering into an agreement with a running or harness horse racetrack.” The legislation allows gaming lounges on a racetrack’s premise to be made available for placing wagers at casinos through the internet. Resorts Casino Hotel in Atlantic City opened an internet gambling lounge in April of 2015. Playing poker and gambling online is of course permitted for those of age throughout the state. But Dancer and other backers of the bill believe physical iGaming spaces at horse racetracks would increase revenue online, and also provide new income to the tracks. Casinos would lease the space and likely share a small percentage of the gaming revenue with the horsemen. “Internet gaming exists. We’re now finding a location for it,” said Assemblyman Ralph Caputo (D-District 28), a cosponsor of AB 4255. Internet gaming lounges, at least in theory, could help grow online poker in New Jersey. Though some prefer the secluded nature of internet poker, there are many who long for the interactive and social aspects the game affords when played at brick-and-mortar tables. Through October, online poker rake and fees are up over 12 percent. An internet gaming café would allow poker players to compete against one another legally, but without making the trip to an Atlantic City poker room. Of course, that would also further damper travel to Atlantic City. Foes to Dancer’s plan believe the statute is a clever way to expand gambling without the consent of the voting public. In November, a ballot question posed to voters to approve two land-based casinos in northern parts of the state was strongly refuted. “There’s something up here. Something doesn’t smell right,” Assemblyman Vince Mazzeo (D-District 2) told NJBIZ. New Jersey’s horse racing industry is coming down to its final blinds. Attendance and revenue are both in the gutter, and the horsemen are looking to revamp its image through a rebranding. It tried to accomplish that by supporting the November referendum. Tax revenue generated from the two proposed casinos would have been shared with the tracks, and the Meadowlands would have likely benefited from one of the casinos calling East Rutherford its home. The horsemen also support legalizing sports betting, but federal authorities are preventing the state’s wishes to do so. Dennis Drazin, an attorney who also manages Monmouth Park, has a sportsbook ready to go should New Jersey someday win its legal challenge. For now, Drazin will accept anything that might increase foot traffic at the tracks. “This is a win-win for both the racetracks and the casino industry,” Drazin told the Press of Atlantic City.